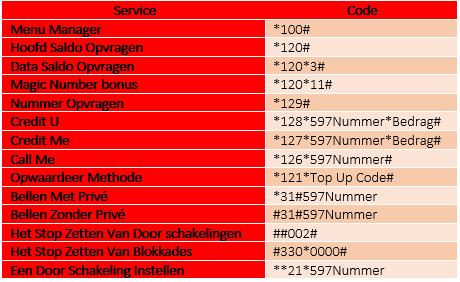 Down below there is an overview of a few GSM codes to use for some of our services. You will have to call to the codes provided here, once you want to use the services attached for the codes. How can I renew my data plan?